Since graduation, my interest in psychology lies in understanding the dialogues that science can establish with the various facets of the human being, both in bio-physiological as well as social issues. From 2003 I began my participation in a group of studies and researches seeking to deepen my knowledge in this dynamic, a group that allowed me to advance in the understanding of both psychological science and the profession of psychologist. The choice of the “Group of Studies and Research on Psychological Aspects of the Historical-Cultural Theoretical Approach” was given as a space for the production of knowledge, coordinated by Professor Inara Barbosa Leão, who dialogues in the subject and society, developing studies and research on social issues that constitute human psychological aspects, and also for this group to work from the historical-dialectical materialist perspective, which has been based on my inquiries into reality since then. Thus, we developed studies on work, employment and unemployment, which gave rise to the research entitled “The Psychosocial Implications of Unemployment in Individual Consciousness: Manifestation in Thought and Emotion”, in which we work with a sample field of a thousand subjects in a situation of unemployment in the city of Campo Grande, with the results presented in various scientific events (seminars, congresses, meetings) in Brazil and also international, generating publications that have positioned us as references in the study on unemployment in the Central-West region of our country. Later, we studied the relations between prejudice and sexual identity, and developed the research “Psychosocial Determinations of Prejudice against Homosexuality in Mato Grosso do Sul”, which sought to understand the genesis and psychosocial specificities of homophobia. And in the meantime, I developed my research on the Master’s Course in Education, which I conducted at UFMS under the guidance of Professor Inara, investigating the relationships between the sexual transvestite identity and the formal education process, presenting the results at Brazilian congresses and also at the meeting of the Latin American Psychology Union (ULAPSI) in 2014 in Guatemala. The option for the stricto sensu graduate also led me to the development of professional activities as a teacher. 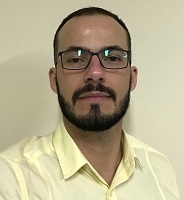 I worked as a Psychology teacher at an institution in the north of Brazil, and also coordinated the Psychology service of this institution between 2010 and 2012. I returned to Campo Grande and was selected to substitute professor at UFMS, and in the same year I started my activities at UNIGRAN Capital College, where I am still today as a professor in the Psychology course, and coordinator of research and postgraduate studies. This whole panorama has given rise to new doubts regarding Psychology, which were developed in 2013 for the development of the doctorate. And the first choice of thought at that moment to compete for the possibility was the Pontifical Catholic University of São Paulo (PUC-SP), since during all my training I had contact with professionals of this institution, including Professor Silvia Lane who has been at UFMS several times. For that, I had the pleasure of meeting Prof. Edna Kahhale that year in a scientific event where we talked about my research proposal for my PhD. However, that year I was still suffering from a cancer, and I did not participate in the selection of the PhD. But after the treatment I was able to improve my ideas and returned to the group of studies and research, which was developing studies on the unconscious from the Historical-Cultural Psychological theory, in order to deepen the understanding of the dialectic relationship between unconscious and conscience worked by Vygotsky. From these studies came the research titled “The Dialectical Relationship between Consciousness and the Unconscious: investigation of its constitutions and manifestations under the approach of Social-Historical Psychology”, from which I developed some works published in partnership with colleagues of the group, and also presented at the congress in Guatemala. In the year of 2015 I resumed contact with Professor Edna and she reiterated the acceptance for my guidance. Thus, since then I have been developing my studies and PhD research in the Post-Graduate Program in Clinical Psychology of PUC-SP, which have been versed on the relationship between unconsciousness and sexuality from the perspective of Historical-Cultural Psychology. My researches about the relationship between the unconscious and sexuality have pointed out that this process develops through the structures and nonverbal processes, allowing the subject to develop their sexual identification even without understanding them, preclude to develop abstractions to understand how external reality is affecting it. I have understood that if consciousness is the synthesis of the relationship between the meanings (social and sexual processes) and personal way, it’s the absence of these two featuring unconscious subjectivity. This is formed primarily by emotional tone, as a shift of the intensity of feeling states (affection) that guide the subject to the given object, signal their interest, but that he can not understand and explain, even to interfere in the way it Develops its identification with sexuality. The senses may become unconscious because they do not gain representation in the form of a sign, which would enable their representations in consciousness. In this case, even though I do not know which emotion refers to that drives me to something / someone, laterly I can be aware that it was a special feeling for each other (unlike me), but I did not remember me. The sense that I have built is unconscious due to the impossibility of representing it fully: with sense and meaning. Considering that this theoretical basis still retains great reference to the studies developed mainly by Russian authors, I believe that to apply for the selection to participate in the summer university can put me in contact with people who contribute to the advance of this production, Question of the unconscious in Vygotsky, a topic still dear to Historical-Cultural Psychology, as well as in the question of sexuality, which we have practically not found research in this theoretical reference in Brazil.